Honestly, I'm a person who prefers liquid body wash to soap bar. So when I received this product, I didn't expect much.. But I was wrong!! First time saw the box, I thought Kojie.San comes from Japan, but actually the company is owned by Filipinos. 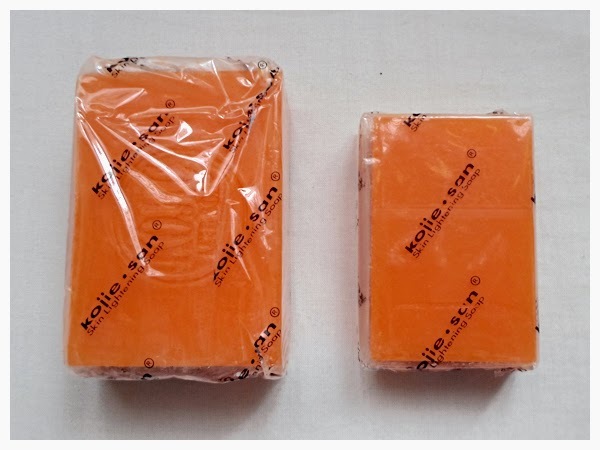 Kojiesan Kojic Acid Soap has 3 sizes; 135g, 65g and 45g. The packaging design is so simple. There's a silhouette of a woman's face on one of the corners in the box. I've been using Coconut Oil and Vitamin C for treating my skin and I satisfy with the result. But what is Kojic Acid? Kojic Acid was found in Japan. It's derived from rice fermentation, which is proven to eliminate pigmentation spots on the skin, skin whitening, anti-bacterial, anti-oxidant and has been used by dermatologists and also in Japan itself. 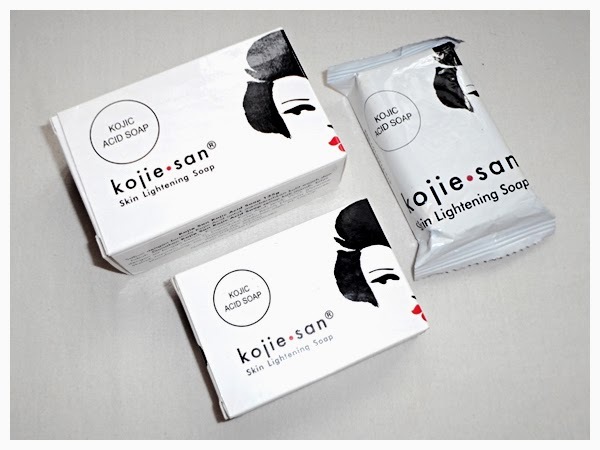 For consumer goods, Kojiesan is the only product which contain Kojic Acid and 100% natural coconut oil. So, this is the first Kojic Acid soap in Indonesia. Those natural ingredients make this soap easily melt when exposed to water, so you'd better store it in the dry place. After 4 weeks using this soap, I can see and feel the significant difference on my skin. It doesn't make my skin become as white as milk, but my skin becomes brighter, tighter and cleaner. I have many scars on skin because it's so sensitive and there's a tendency to have diabetes (from my father). After using this soap, I can see my scars fade gradually. I love this soap!!! ^^ I also love how this product moisturize my skin longer than the other soap. Don't forget to apply body lotion with SPF after use this Kojic Acid Soap to protect our skin from the sun. So, overall, I really love this soap!!! I definitely will purchase when it runs out! 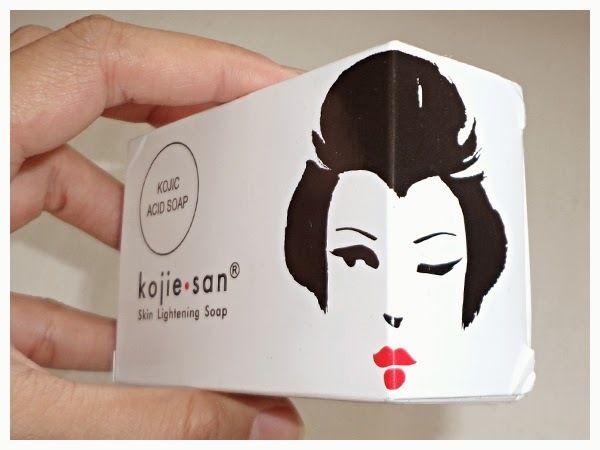 If you have a sensitive skin like me, I recommend you to give this Kojiesan Kojic Acid Soap a try. Kojiesan products are available in many cosmetic stores in Jakarta and retails (Giant, Hero, Guardian, Naga) Indonesia. Want to know more about Kojiesan? You can visit their facebook page: Kojiesanid ad twitter: @kojiesanID. MITCH> Ayo ayo dicoba.. hehe.